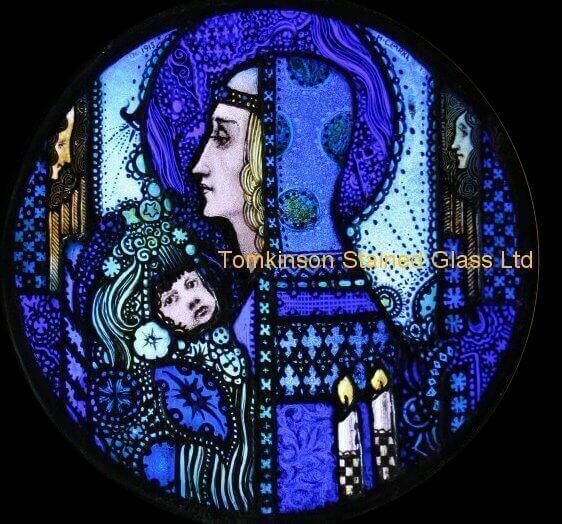 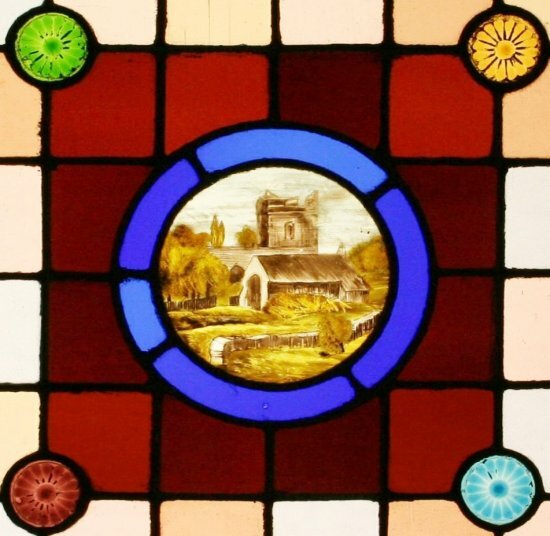 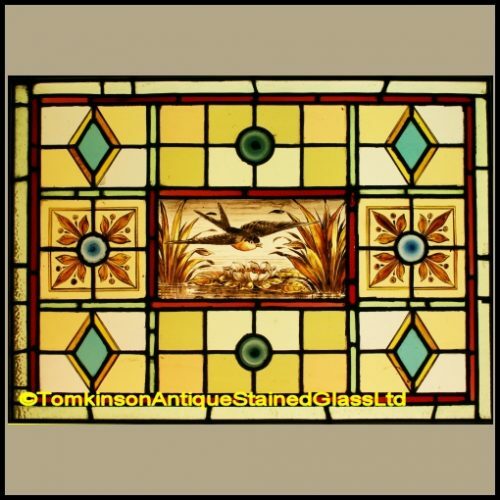 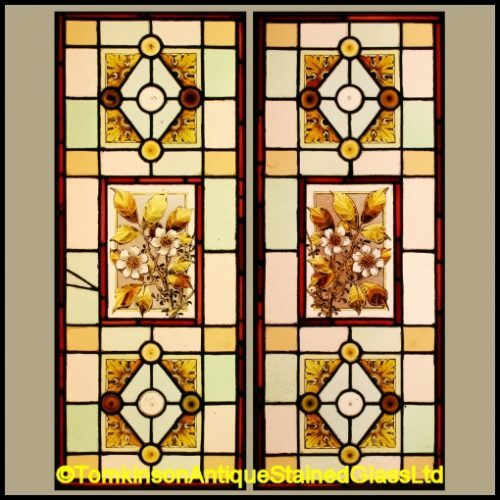 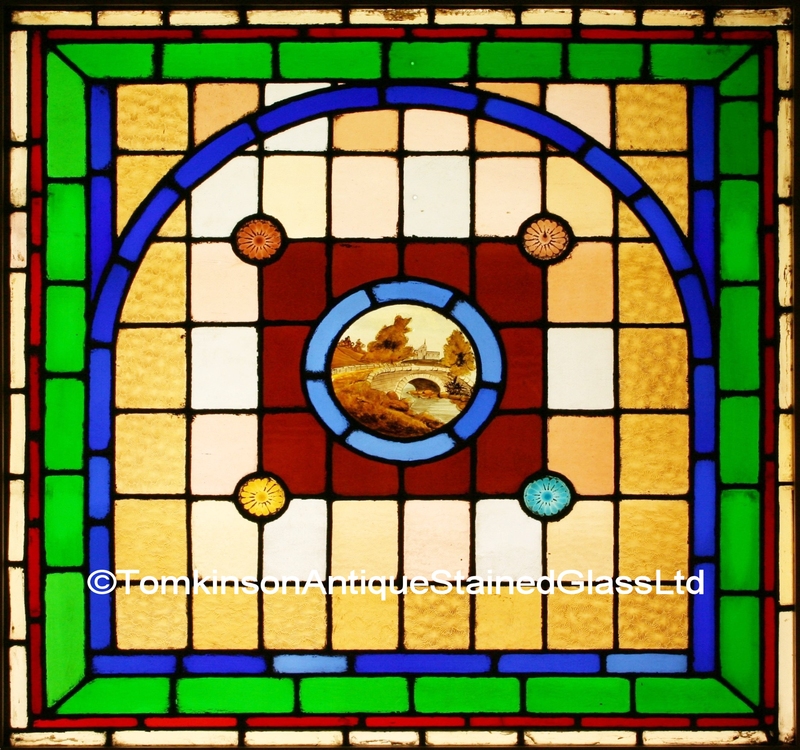 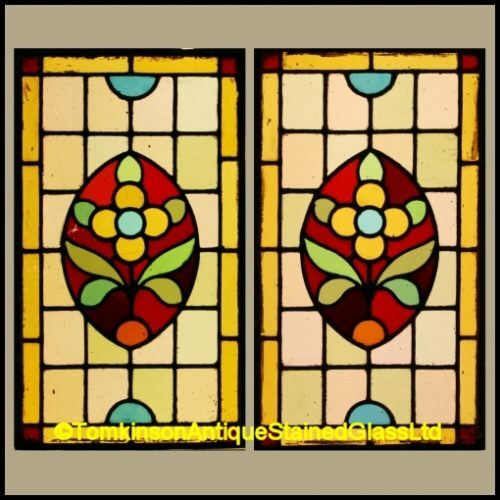 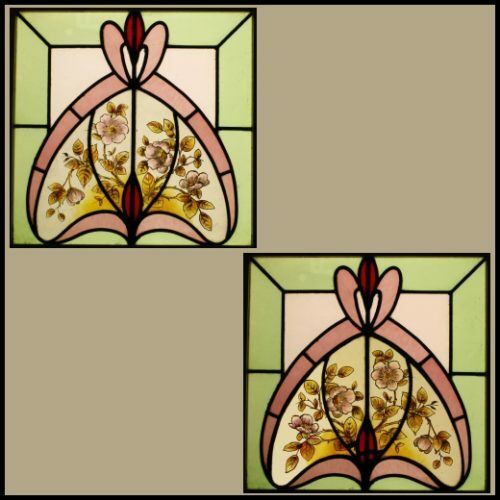 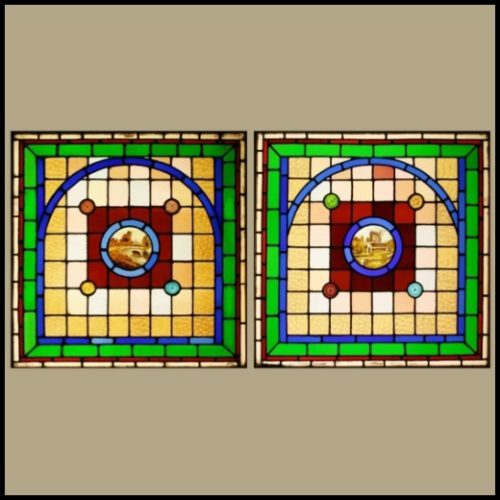 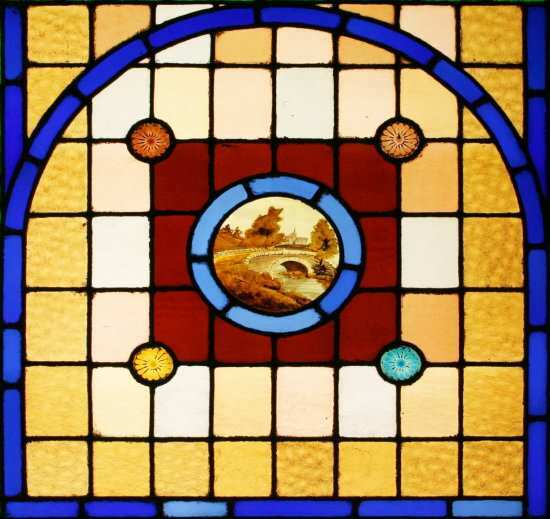 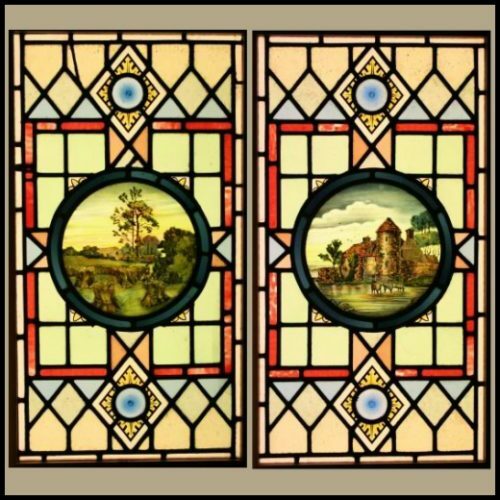 Two Edwardian stained glass windows, each leaded with textured obscure coloured glass with hand painted central roundels. 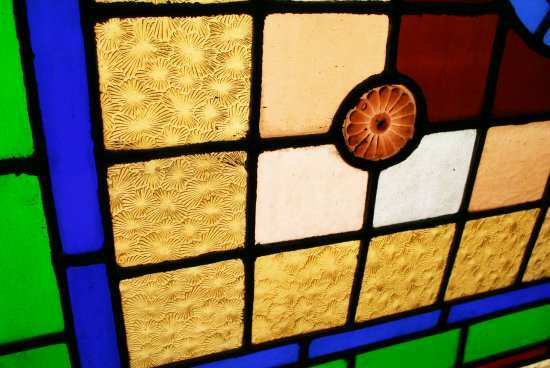 Also with decorative pressed glass bullions. 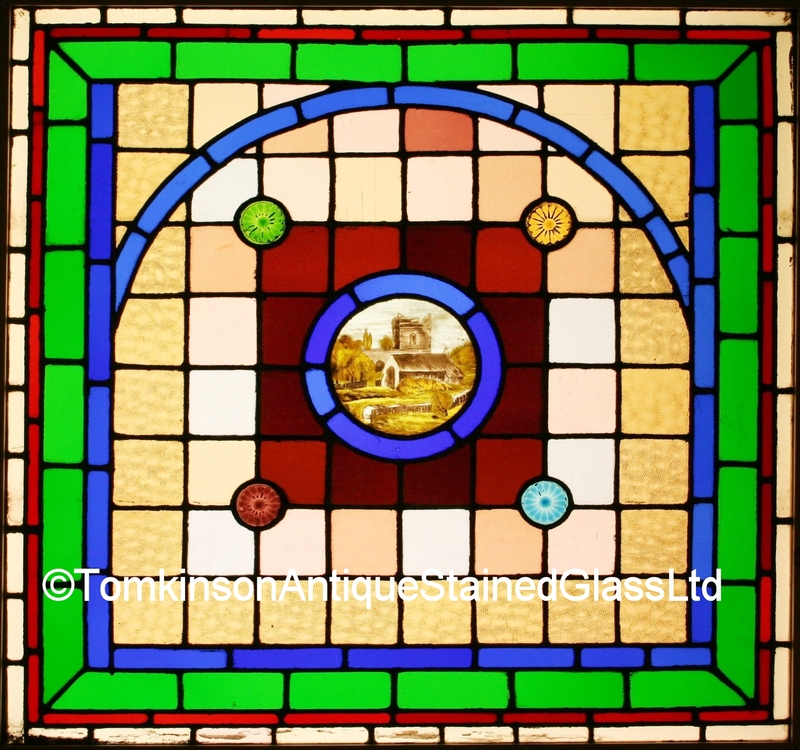 With slight lead strap restoration.